The ultimate mix of excitement and relaxation await you on a wonderful excursion of deep sea fishing in Dubai. With a heritage deeply rooted in fishing, the Emiratis are at home in the sea which is teeming rich with a healthy variety of marine life. Famed to be one of the biggest sailfish destinations in the world, Dubai seas also has over 500 marine species that include kingfish, Queenfish, groupers, tuna, barracuda, sharks, and so much more to make fishing day totally worth it. Get the best deals when going on this adventure with us. A leading fishing company in Dubai, we have a line-up of boats and yachts that are perfect for four (4) hours of fun fishing in Dubai. 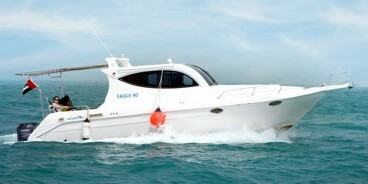 Choose from our 33-foot boats, 37-foot yacht, and 42-foot yacht at the best rates ever for fishing in Dubai. These vessels are furnished sporty, comfortable amenities that are perfect for your trip. They have cabins for a quick rest, sitting areas and sundeck from where you can cast your line, and kitchen for cooking your fresh catch. Our fishing boats and yachts are equipped with top-of-the-line deep sea fishing equipment. Modern fish-finder or SONAR, as well as a navigation system help, steer you into the rich waters where schools of fishes are swimming abundantly. Complimentary fishing equipment like rods, lines, hooks, lures, and bait are also readily provided. Should you wish you enjoy your fishes immediately after catching them, you can fry them in our furnished kitchen or grill them on our electric grill on-board. 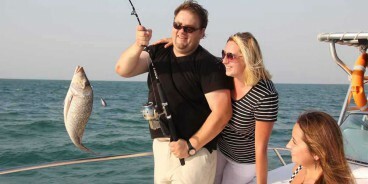 Professional captain and crew are also expert anglers who know the best Dubai deep sea fishing spots. Listen closely to the captain’s “tackle talk” as he tells you tales of his own fishing experiences as well as share tips and tricks in snagging that perfect catch. We are more than happy to assist you in casting your line, staying patient while waiting for a fish to bite, pulling the rod when a fish does bite, and eventually landing your fish into the boat. 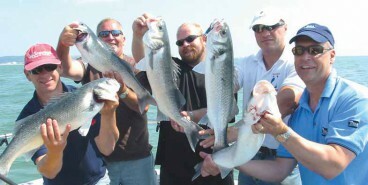 We have sharing and exclusive deep sea fishing trips available for individuals, couples, and groups. Whether you are fishing in alone to unwind and enjoy your hobby or taking the whole family and friends along, we have the perfect fishing deals just for you, book and enjoy deep sea fishing in Dubai with experienced skipper and crew.